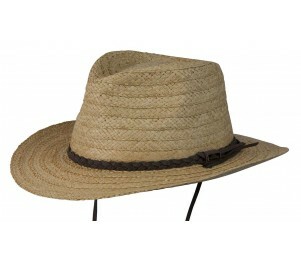 Look like you just finished a walkabout in bush country with one of these well-made Australian hats. You won’t find a better hat to protect you from the elements than this wide-brimmed hat that features a tall crown for breathability. 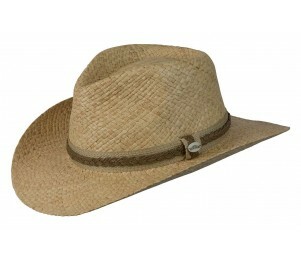 Australian or Outback hats come in a variety of materials to suit your needs. Choose from straw, mesh, wool, leather, suede, and oily leather to fit your style and climate. Crushable Australian hats, complete with storage pouch, are also available for an easier travel option. Check out the selection of top brands including BC Hats, Conner, Scala, Henschel, Rocky Mountain, Bullhide, Jacaru, and Stetson to find the one that’s right for you. Make any day a g’day, mate, with an Australian hat that complements your personality. Many options of materials; Variety of colors available; Men and women’s styles; Chin cord in some models; Brim width from 2” to over 3” depending on style.